Eric and Kath Bridgen, together with their two children, Ian and Sue, came to Hall Place in 1950. 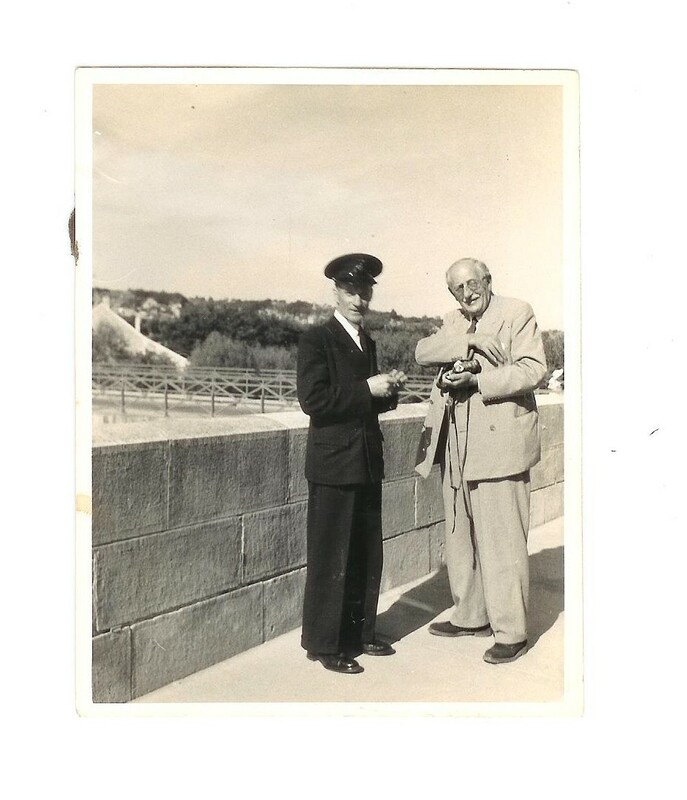 Eric was to be Lord (Geoffrey) Hollenden’s chauffeur – which he was for the next twenty three years. The family lived in what was called the Chauffeur’s Cottage – in the stables immediately to the left under the arch. This is Sue’s story from when she was two years old until she married John Stevens in 1970. “My brother was 10 years older than me, so for the best part of my life I was the only child living within the walls of Hall Place. 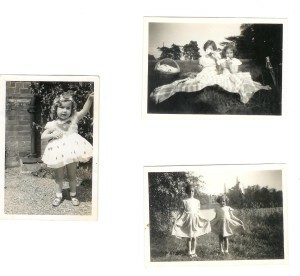 The garden was my playground, the trees were for me to climb and to build dens under and have tea parties with my dolls! I would amuse myself by chatting with the men who worked within the grounds of Hall Place. The carpenters, amongst them Len Humphrey and Bernard Pankhurst, together with Jack Jury, one of the gardeners and his wife, Grace, who lived at The Bothy, were all very special to me. The Jurys had no children of their own and I would visit them often to chat. Jack Jury seemed to work mainly in the walled vegetable garden and he was working there well into the 1970s. He had his own shed beneath The Bothy where he spent a lot of time making things out of wood. I would visit Mrs Jury who would always give me a drink of squash or milk and biscuits! A great treat! Mr and Mrs Hand lived next door. They seemed very old and did not work on the Estate anymore. He might have worked with the horses that would have been stabled in the yard, I guess. As a child I was terrified of thunder and lightning and at the first clap of thunder I would rush round to the home of Mr and Mrs Hand and hide under their large kitchen table covered by a large oil-cloth. We seem to have a lot of thunderstorms in the summer months in those days! I am sure all these people must have got very annoyed by being ‘pestered’ by this somewhat lonely little girl. But they always seemed to have time for me. Another worker on the estate was Percy Seal who drove a truck to collect timber and other things like building materials. Often I would go with him sitting in the back of the truck! That would not be allowed these days . Sue is the single child in the first picture. 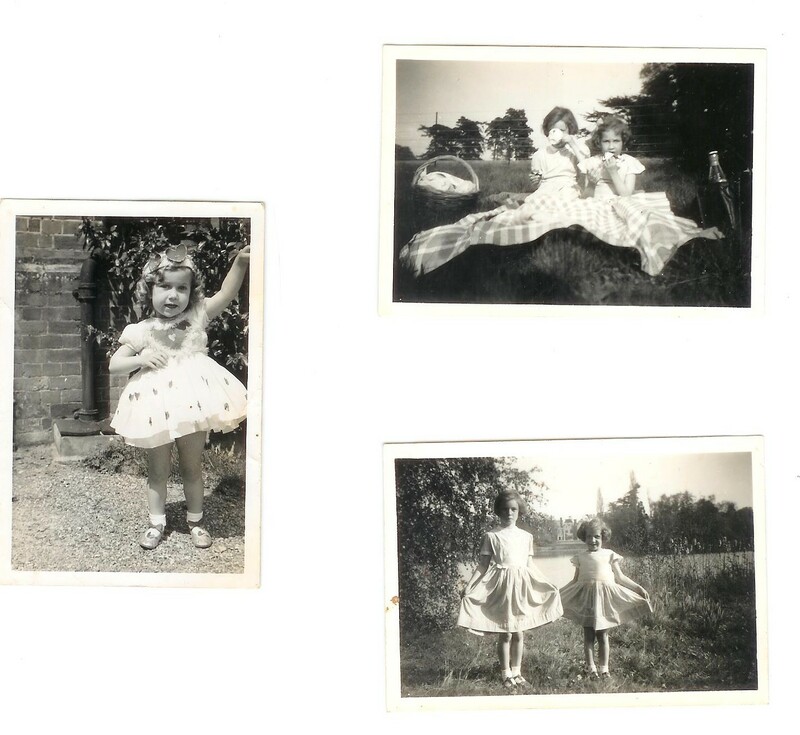 In the other two photos, Sue Stevens is the younger child; Sally Haslem the older child. “I particularly loved the Little Chapel deep in the woods built for Lady Diana Hollenden for her private use. My mother was privileged to have the key. I think she kept it clean when Lord and Lady Hollenden were not at home!. It was a favourite haunt of mine; so peaceful and serene. My mother and I loved walking around the lake and the grounds at Hall Place and the park where the deer roamed. Lady Diana was very generous to her staff and their families and in fact bought me my first dolls pram. To this day I cannot eat venison having been aware that they were being culled at various times; a necessary but, I thought, cruel act. I particularly loved running across the stepping stones in the lake by one of the frequent little summer houses and skipping over the wisteria clad bridges. The rule was that when Lord and Lady Hollenden or any member of the family were in residence you did not venture around the gardens, lake or woods but generally from Monday to Friday they were at their London House and so there was plenty of time to explore. My mother used to walk and care for the labradors ( gun dogs) housed in the Kennels next to our house so we walked a great deal – very often around the lake. I would also ‘visit’, Betty the cook in the big house. There was always iced cold fresh milk from the cows at Home Farm. The Hall Place had a refrigerator so it was a great novelty to have ice cold milk. I was nine or ten before we had a refrigerator at home. Later on when I was twelve or thirteen Audrey and Peter Beagley moved into the Gardener’s House, opposite Donkey Field, so Peter could take up his new post of Head Gardener. Their children, Glyn and Susan, were three and six years younger than me but nevertheless our families became close friends and it was nice to have some younger company. (Sue Beagley still lives in the village and we still meet in Waitrose and often recall Hall Place in the 1960s). After Mr and Mrs Hand died their house was occupied by the Butler and his wife, Tom and Jean McKenzie and their two children, a boy whose name I cannot recall and Clare. Jean McKenzie was particularly kind when my mother was very ill. Mother died in l973 aged 56 of lung cancer. By this time I was married to John. Eric Bridgen had been chauffeur to the Cazlett family at Fairlawn, Shipbourne (following his own father who had also worked for the Cazlett family). Sue married John Stevens at Leigh Church on 4 July 1970, the service was conducted by the Rev. Bounds.